TransDevelopment was the development manager for this 60-acre, $13-million automotive and truck maintenance facility in West Palm Beach, Florida. The facility serves General Motors’ new car and re-marketed automotive traffic. The Palm Center project was constructed to meet demanding environmental quality standards on a fast-track basis. It features more than five miles of rail improvements, site operations and administrative buildings and a 22,000-sq. ft. vehicle inspection canopy. 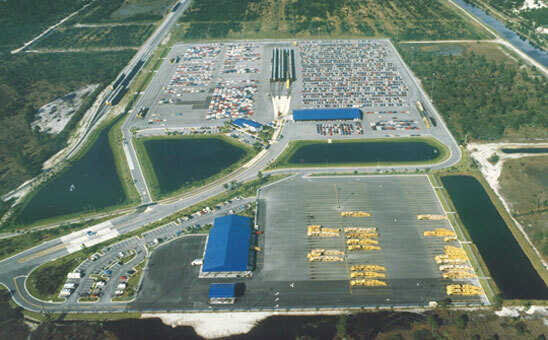 An independent haul-away terminal facility was built for 100 trucks and it has a five-bay shop, fuel island and truck wash facilities.